House/Faction: Merc with preference for FRR and GB. Experience: Old mechwarrior fan, a few hundreds of FW games back in Phase 2/early 3. Clan alt account with all mechs mastered through fw. Availability: Have a lot of travelling time during working weeks, so mainly available in weekends. Haven´t played the game very frequently for a year or so but with civil war incoming and the recent battletech beta, my interest is returning. I have earlier mainly been going solo, so this time I´m looking for a casual team to share the ups and downs with. Experience: MW3, and lots of MWO mainly when it came out. Availability: Afternoons USA time usually. Some weekend nights. Preferred Weight: in the past, heavies, lights at the moment - team oriented. Experience: new to MWO, played MW1, MW2, MW3 - (i was in a MW2 netmech league for a couple years back in the day) does having read a bunch of the battletech novels count as experience? recently learned of MWO's existence, signed up, very happy with the gameplay. want more. Experience: I have been playing since September 2016, with a short break. 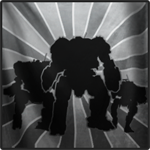 I have over 50 mechs, spread across the weight classes and both IS and Clan factions. I am Merc Rank 4, enjoy Scouting a lot for either side and occasionally venture into Invasion. I was in Praetorian Legion [PL] for the majority of my play time. What I am looking for: An active, friendly unit with groups running scouting and invasions. I want to improve as a player and join a team which can help me to grow instead of just grinding Quickplay or Scouting with PUGs. I play at set times, so the ideal unit will be active at those times and be looking for somebody who tries hard, wants to win and improve as a player. I am not particularly interested in the new 8v8 game mode at this time. 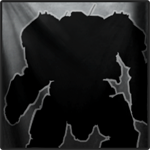 I have mechs for either side, so I am happy to join a Merc unit or one that is loyal to either the IS or the Clans. I used to stream several times a week and would consider doing this again. I look forward to hearing from you. Found a home, thanks for the responses. Edited by Broganos, 28 June 2017 - 07:28 AM. 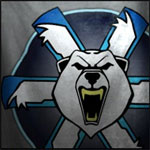 House/faction: Looking for clan or merc. Mech Class: I play all. Looking for a unit that wants to do Faction Warfare all the time, and then also does competitive. I use Teamspeak and Discord. Edited by Clownwarlord, 26 June 2017 - 02:06 PM. Thank you for all the interest. I will follow up with each of you that contacted me. Experience: TT/MW:3025 on GEnie/PC games. I have been playing since beta here. I play in the evenings between 6P and 2A Eastern time. I have a good grasp of the game but lack some teammates to help me improve. I am willing to learn and adapt and take risks. I have not played comp but I like PvP so I'm willing to try. I would like to run with people that work together as pugging is very challenging, thank you. Edited by Tethyss, 08 July 2017 - 12:07 AM. Found a unit, thanks for the invites! Edited by Pyrce, 03 July 2017 - 08:53 PM. House/Faction: Merc with preference for FRR & Victor Davion. Playstyle: Objective based, prefer not to lone wolf. Experience: Table top, all PC games (old Crescent Hawk games, Mechwarior 1-4, Mech Commander...), read all books up to about 1999. Availability: Lots. Often at odd hours. Experience: Founder, old mechwarrior vet. A lot better then my rating I swear. Location...the psychotic chihuahua chewing on your leg! Playstyle: Team Player, fight as one...die as one. Experience: New to MWO, but played a lot of Battle-Tech and the Mechwarrior RPG as well as several MMO and MMORPGs in the past. *I have been accepted by The Bretheren Periphery Pirate Confederation. Edited by AJBennet, 24 July 2017 - 06:40 AM. 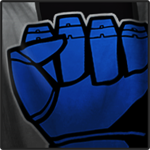 Faction: Merc or Clan loyalist. WILL NOT pledge LOYALTY TO I.S. (...unless theres a copious amount of cbills involved. Roles: harasser/boom&zoom, agro-magnet, flanker, direct fire support, brawler. (Don't ask me to snipe/poke long range or use LRMs..... I'll narc for a boat, but I WILL NOT mount lrms on ANY of my chassis, EVER. My MAD DOG has had 6x srm6's on it since I got it and that's how it stays fitted. Experience: 3 months, have about 30 Mechs mostly clan. Play about 5 days a week. I'm keen to join a unit and do more faction play preferably a Oceanic based unit. 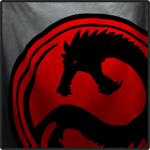 House/Faction: Any clan house. I drive mainly clan mechs, though I have all the Bushwackers. Playstyle: Cougar and Maddog are my main mechs, specializing in flanking and long ranger direct support. Roletype: Flanking and aggressive. I like coordinating and coming up with plans and ideas. Preferred Weight: Heavy and light. Experience: Been playing since the Bushwacker was on the market. I've been in 12SR with Steiner for awhile but discovered that all of my favorite mechs are Clan. I haven't been playing much MWO but I'm flexible and a quick learner. Let me play the mechs I think look cool and help me tailor them to your gamestyle, and I'm your man. My favorite mech of all time is the Cougar and I've been getting relatively good at it since it came out. My second favorite is the Maddog, followed by the Bushwacker. I own every single one of these mechs, and I don't play any other ones. House/Faction: Merc that is currently setup in IS as I am better set for that. 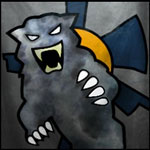 (I do have a handful of Clan mechs however including Artic Cheetahs, Timberwolfs, Stormcrow, Hellbringer, Hunchback II, Dire Wolf, Highlander II, and shadowcats). I just have far far more IS mechs and play them much more so far so easier to come up to speed. Playstyle / Roletype: Not sure how these are different so I will combine. I like to play anything in the game but I love most when I am midrange mobile flanking and poking. I tend to like mechs with high mount points and work ridgelines. I also tend to gravitate to laser boats. I don't mind giving up a little firepower in trade for utility if the group benifits. Experience: Been playing since Beta and was a founder. Job took me in and out of heavy gaming but I do have experiance in competative play. Was with a very good group at launch but more recently I was with a group that was great in spirit but in a house that just did not see enough action to actually get better. I went loner to maybe switch factions and find more battles prior to Civil War and the Merc life sounds like it could avoid such issues. Those were great guys however and I was able to even participate in the World Championship in which we were able to advance and win some battles regardless of our underdog status. I have also played competivaly on WoT and WoWs and a multitude of raid style mmo's. Availability: I work Fri to Mon and tend to be dead tired Saturday and Sunday, so my best days are Tue-Thur during the day and evenings. My lady comes home around 11pm Cent, and I tend to give her my attention at that point. Edited by Anunaki, 26 July 2017 - 11:33 AM. Play style: Team Player looking for a casual group who will teach, listen, and win. love support and brawling, but overall, love different roles depending on team needs. Playstyle: Semi Competitive. I enjoy being with a well organized team and strive to build good effective Mechs. Roletype: I have tried most roles and enjoy them all except for leading. Edited by Kiiiddd, 28 July 2017 - 10:20 AM.